Dealing with extremely dry, itchy skin is no fun. Just ask my daughter! She is prone to flare-ups of incredibly dry patches of skin. The cold air makes it so much worse. Since we’re a big skiing family, winter is so tough on her. She loves hitting the slopes with us, though. I don’t want her dry, itchy skin to hold her back. Keeping her locked away indoors all winter isn’t really an option. I want her to get out and have fun! 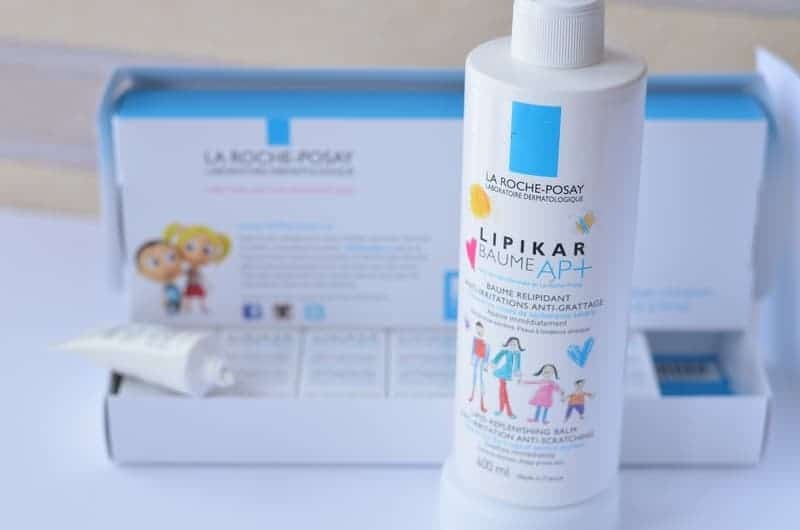 Thankfully, we’re ambassadors for the La Roche-Posay “100 families” program and got to try out the new formulation of their new product: the Lipikar Baume AP+! It’s designed for people like my daughter. People who suffer from eczema or dry, itchy skin. 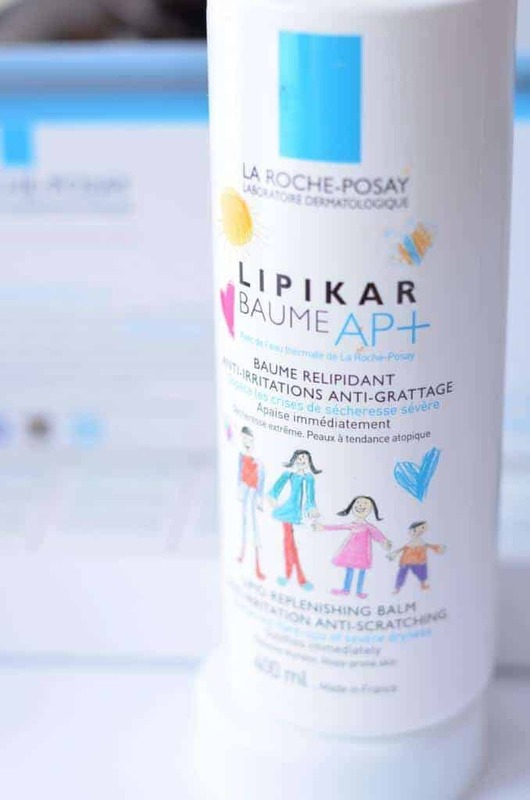 When we received out La Roche-Posay Lipikar Baume AP+, I couldn’t wait to see how it worked on my daughter. We ski every weekend during the winter, so I was really hoping she would see fast relief. I was so impressed by how fast La Roche-Posay Lipikar Baume AP+ stopped the itching and irritation. In fact, it worked right away! It also made my daughter’s skin so soft. Amazing! We packed it up in our suitcases to take on our skiing trip, so she could reapply it as needed. While it does actually help space out flare-ups, we wanted to make sure we were ready in case the cold mountain air brought on another case of dry, itchy skin. My daughter loved that La Roche-Posay Lipikar Baume AP+ wasn’t sticky or greasy. It goes on smooth and absorbs into the skin without leaving behind a filmy feeling. I think this is a major benefit when you’re using it on kids. No one likes that greasy feeling, but kids in particular are sensitive to the way lotions and creams feel on their skin. We are so excited to be ambassadors of the La Roche-Posay 100 families program this year! Every year, La Roche-Posay teams up with dermatologists to help 100 Canadian families live a better life with eczema. They do this by providing information and advice from dermatologists along with a one-year supply of Lipikar products. 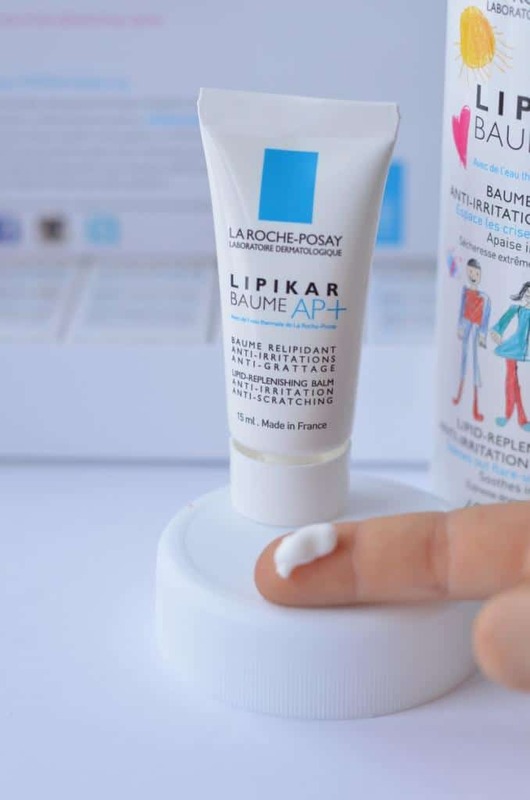 Want to try out La Roche-Posay Lipikar Baume AP+ for yourself? Download a coupon for $5 off! Enter below for a chance to win a trial kit for a one-month supply of La Roche-Posay Lipikar Baume AP+, with seven travel samples! Giveaway is open to Canadian residents only. I’m so happy that La Roche-Posay Lipikar Baume AP+ works so well for my daughter. Now she can enjoy skiing with the family without worrying about dry, itchy skin! Ready to relieve your skin? Try La Roche-Posay Lipikar Baume AP+ today! Do you have dry, itchy skin? What makes it worse for you? Tell us about it in the comments! Anti Bullying Task Force: Will It Help? This would help my son . We have eczema running in our family.Really want to try it. Tight, dry skin is a way of life for me here in Calgary AB . Looking for a great solution for both in the shower and out. This sounds like a great product and will be such a relief for those suffering from eczema. Winter can leave skin so dry and itchy so glad there’s a product that works. I would like to try it because I am itchy all year. It sounds like a great product to spread information about too! I’d love to try it, winter always leaves me with dry, itchy skin. My son is always complaining about itchy skin from being dry. He needs some of this! This looks like a great product for this time of year! We’ve been dealing with chapped lips some which we haven’t normally dealt with in the past. I like that this isn’t greasy!! I have dry skin in winter and am always trying new things. Ill have to check it out. I have severe dry skin. My hands and feet get so bad that they crack and bleed. It’s not fun. I do fairly well with keeping my hands in check. My feet are harder. I have tried a lot of creams and prescriptions without much luck. I’ll have to check out there site and see if they ship to US. Love to try as I suffer from eczema and itchy skin. I would like to try this for my dry winter skin. This winter dryness is killing my lips, need help! This sounds great. My daughter gets dry patches on her skin often, I wonder how this would be for her. Our whole family gets such dry skin and this winter has been really awful! I really hate it when my skin gets super dry, this sounds like the perfect solution to help me! My little guys are having a rough winter with their eczema. It would be great to see if this would help. My little guys are really suffering this winter with their eczema and would love to this if this would help. Clearly, La Roche-Posay Lipikar Baume AP+ is a great product. You’ve done an excellent review. I’ll have to get some and try it myself. One of my kids had a eczema for a while. Most products didn’t seem to make a difference. This stuff sounds like it’s heavy duty enough to work though! This sounds like such a great product. My niece has eczema and has to be careful about what lotions and other skin products she uses. I have dry skin/eczema and I’m always open to trying something new and different to see if it makes a difference. I never heard of this brand but it sounds like it really works and will help a lot of people. I have horrible allergies, and they’re reacting around my eyes right now. Itchy? YES. Dry? OH YES. I’d love to try because my son experiences eczema and I have really dry skin. Congratulations on being their ambassador! Already I am wanting that brume! I have a daycare child that suffers from eczema. I will have to show this to his mom. Love the packaging. My skin is so dry this winter. This sounds like a must-have product for me! I want to experience Lipikar Baume AP+ because I have very dry, itchy skin and I think your product would really help me – thanks! Our cold climate in Canada make my skin worse and it sometimes bleeds. I would love to try Lipikar Baume AP+ because I suffer from eczema and this sounds like something would help to relieve my symptoms. I like that it isn’t sticky or greasy. Can the Risk of Childhood Obesity Be Predicted at Birth?